Now in Buenos Aires: El Pais Vasco, or What Do Kurt and St. Ignatius Loyola Have in Common? El Pais Vasco, or What Do Kurt and St. Ignatius Loyola Have in Common? Halfway through our stay in Haro, favorite daughter Belén finally recovered from the nasty bug that tagged along with her from London, and all three of us made a day trip to the Basque Country, up higher in the hills and toward the coast, where the fog and cool temperatures set a different mood that complemented the Euskara (Basque) language on highway directions and street signs. 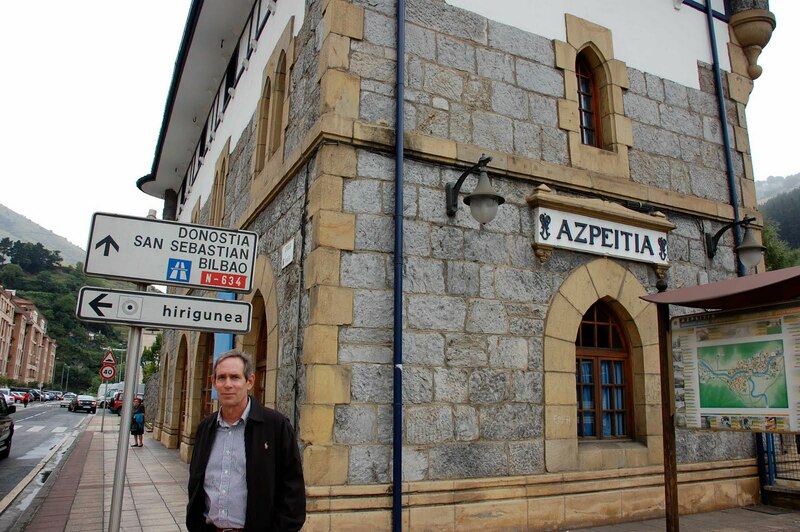 Our first stop was Azpeitia, an incredibly picturesque little burg that was the birthplace of Kurt's great-great-grandmother on his mother's mother's side. Doña Vicenta Azpiazu was the paternal grandmother of Belén Arocena (mother of Kurt's mom Jeanette and namesake of favorite daughter). Upon our arrival in Azpeitia, we quickly realized that the town was perhaps better known as the birthplace of San Ignatius of Loyola, whose remains are interred in the small yet elegant cathedral built around his family home. 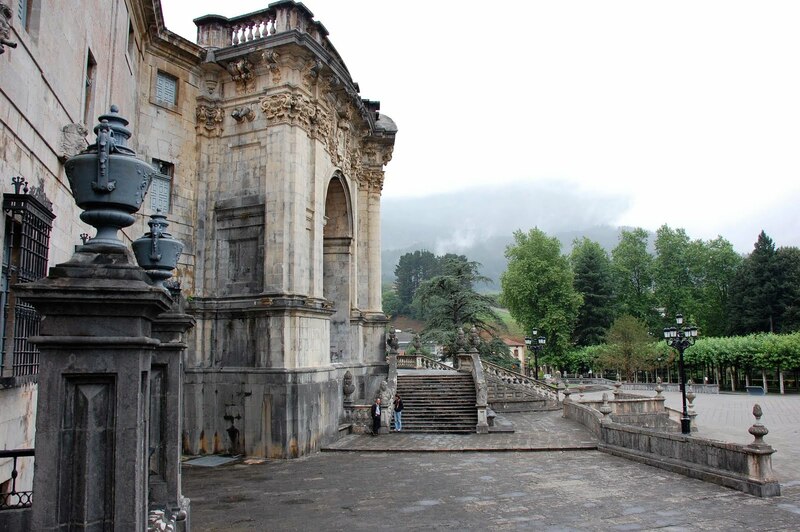 Ignatius experienced his famous conversion here as well as he recovered from life-threatening battle wounds. He went on to establish the Society of Jesus to serve as an army of God. Not surprisingly, Ignatius is the patron saint of soldiers. The cathedral and its grounds (photos here) are like a mini-Vatican, a jurisdiction unto itself. Directions to the town (photos here) right across the street are provided just in case. There we had a great meal in Kirkuri, a restaurant with no menus: the waitress recites the litany of options, starting with the appetizer, then progressing to main course, and culminating with dessert. Self-serve wine also provided. Total cost: 12 euros per person. Well provisioned, we headed off to Guernica, ancient capital of the Basques and the target of a devastating bombing attack by German aircraft at the behest of Francisco Franco during the Spanish Civil War. Following Franco's death many years later, the Basque Country regained some of its autonomy, including use of the Basque language. Many still call for complete autonomy, as demonstrated by this highway overpass sign. It's hard to argue with them. Photos of Guernica here.